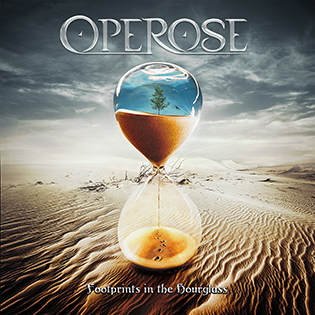 Joe and Jennifer of OPEROSE talk about the amazing "Footprints in the Hourglass"
1. Do you guys agree that musically "Footprints in the Hourglass" is a very bold musical piece of work? 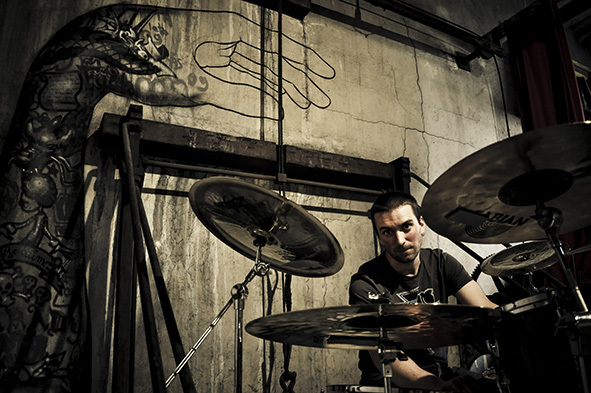 Joe: We were really keen to try something different with this project, a deliberate merging of two distinct genres. 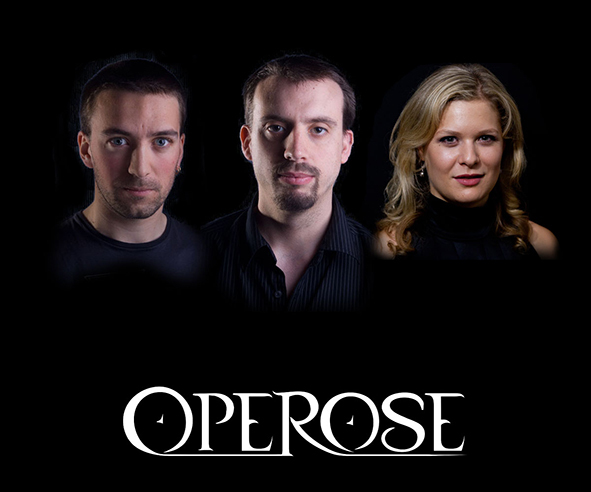 Lots of Symphonic metal bands have opera style singers but OPEROSE is deliberately a classical cross over project and shouldn’t necessarily be compared to more traditional opera metal. If we had wanted to make it more comparable we would have added more vocal layers and played with the mix more but we would have risked losing a lot of the unique identity we were seeking. Jennifer: Of course! It is quite a statement to fuse genres together like this. There is nothing shy about these songs. 2. How long did it take to complete the album? Joe: It gained momentum quickly from some early guides and then Jennifer coming on board and nailing the vocals so quickly. 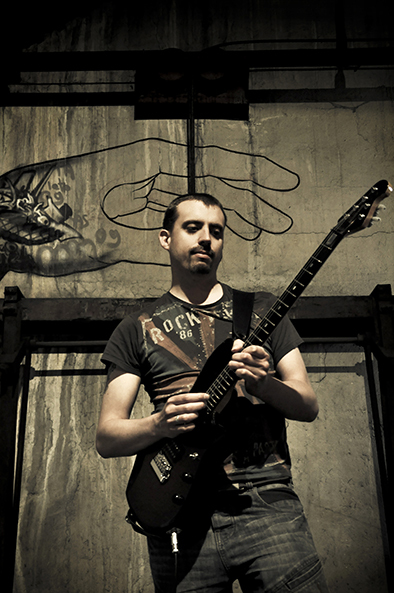 Guitars, orchestra and drums took a couple of months and then mixing and mastering the same. Jennifer: I was able to get the vocals down with only 3 days in the studio, the rest of the album followed at a good pace. 3. What are your main influences both generally and while making this album? Joe: I am very much obsessed with prog and classical music but have always wanted to do a cross over with an opera singer. I moved away from this and probably listened to more bands such as AMBERIAN DAWN and EPICA whilst planning the project just to do a bit of research and hear what the genre was like in order to offer something a bit different. 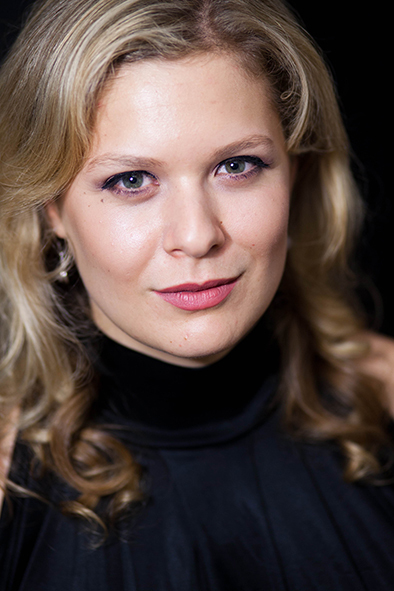 Jennifer: I come from a traditional operatic background, and wanted my classical training to really add something special to these songs. 4. Do you think there is anything out there that has a similar sound? Joe: Unfortunately it will always be compared to female fronted metal bands but I hope people see the uniqueness of what we wanted to achieve. Jennifer: I have not heard anything like it before! 5. How do you guys feel the album has been received? Joe: The reviews have been positive on a whole but excellent when the reviewer understands what OPEROSE is and why it doesn’t need to be compared to leaders in the genre. Jennifer: It has so far had some really positive feedback and reviews on blogs and in magazines. 6. Is the any chance at all that this music could be performed live one day? Joe: I hope so, it would certainly be fun and the album is suitable for the stage. Jennifer: Who knows! I am booked up quite far in advance, but never say never. 7. What is the subject of the lyrics and from where did you find the inspiration for them? Joe: Like all Operas, we wanted to base the whole album on a story. I was keen that we went with a dark Greek myth and in the end the tale of Orpheus and Eurydice was chosen but told through the eyes of Eurydice. It is such a dark story that starts and ends with tragedy with raised hope in-between. 8. What are you guys doing besides OPEROSE at this time? Joe: I am still very busy with OPPOSING MOTION and solo material, always planning and working on new and existing material and promotion. Jennifer: I am currently performing operas and classical concerts all over the world, performing in 5 different continents this year. Next year I will be recording and performing some contemporary classical music in New York USA. Joe: I think the album takes a few listens to really get what it is about, those that have taken the time have sent really positive messages and I hope many more like it. The good thing about music is that it is not time dependent, the album is out there forever now to be discovered and hopefully enjoyed. Jennifer: We like it. If other people want to join us on our adventure through sound, they are more than welcome to! 10. Will there be a follow up to this excellent album one day? Joe: I hope so. Let’s give it a bit of time, if fans want it we will give it some serious thought.